These are all famous quotes that you’ll find online or in Christmas cards this year regarding the true meaning, or spirit, of Christmas. But did you notice what’s missing? Upon first glance, there doesn’t seem to be anything wrong with what’s being said. It’s only when we take a closer look that we begin to see what’s missing—Jesus. Sure, we can celebrate the nostalgia and happy times that seem to be at the front of our minds this time of year. But let us not miss out on the rich meaning and celebration that this season has to offer. 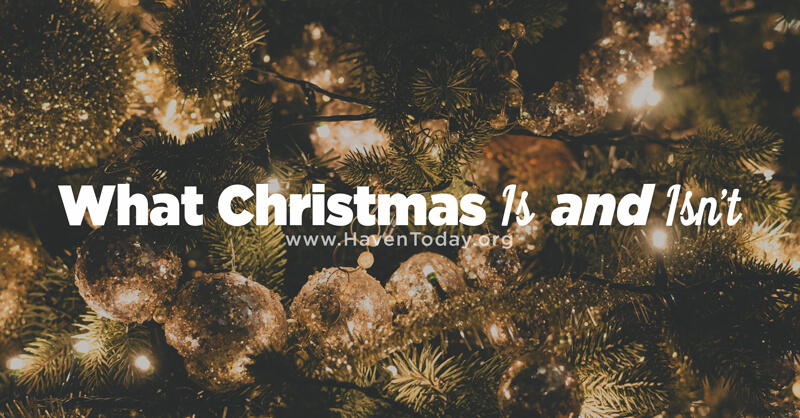 As December 25 fast approaches, let us first remember a different set of quotes from those who were anticipating and celebrating the One who came to bridge the gap between Heaven and Earth.